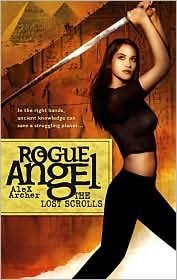 The Lost Scrolls is #6 in the adventures of Annja Creed AKA Rogue Angel. It’s not been the best by far, but it did move quickly. It is an optimal length for a series novel. The character of Annja hasn’t developed much since #1, but I still have hopes for her. In The Lost Scrolls, Annja stumbles across papyrus scrolls detailing a war between the continent of Atlantis and the ancient Greeks. What starts the gunfire is an account of how the Atlantans possessed the secret of free energy and used it in their weapons. Someone wants the secret of the free energy and sends in a team of cut throats to kill any and every one on the excavation team. Of course, Annja happens to be there, or we wouldn’t have a novel. I did learn it’s possible to land an ultralight aircraft on a north sea abandoned oil platform in a storm. I hadn’t known this before hand. I assumed you’d need a helicopter in nice weather. 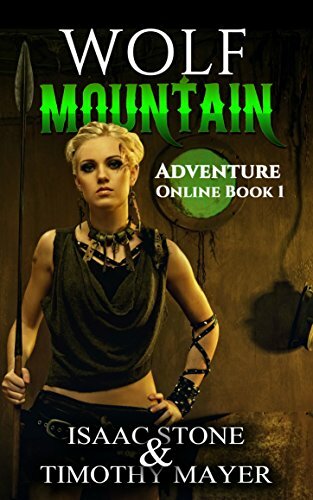 There’s an entire section in this book where Annja, getting assistance from some good guys, helps pilot an ultralight plane to a landing under horrible conditions. The Alex Archer Collective did their research on this section. The sword of St. Joan makes its requisite number of appearances. The two continuing sub-characters, Roux and Braeden, hardly appear at all. One of them pops up at the conclusion. I’m starting to wonder why the authors even continue using them. The one bright spot is a Polish archaeologist who plays damsel-in-distress. She lightens up the grim action with charm. I’m hoping she’ll make it into another book. You also get a good lecture on the history of the library of Alexandria. There’s plenty of action scenes. Eventually, I’ll figure out what formula they use to keep the plot moving with combat. I’m not saying they build the books around scenes of Annja swinging her magic sword, but there is a connection.